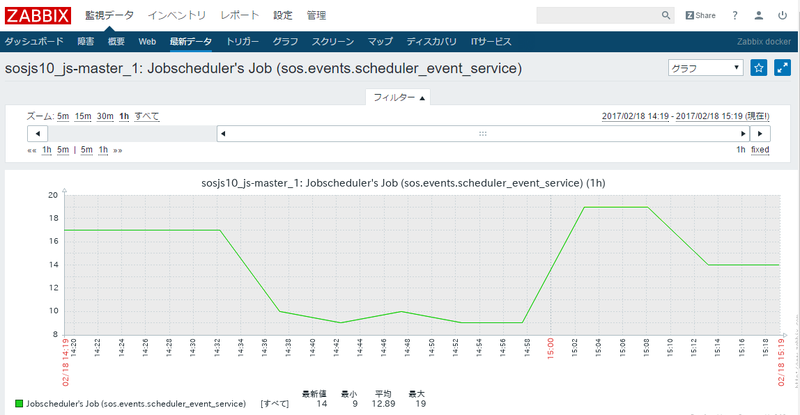 *  A language file scheduler_lang_[_sos_lang].js must exist. Please select the mail server configuration type that best meets your needs. Should be chosen to leave the current configuration unchanged. Mail is sent and received directly using SMTP. as fetchmail. Outgoing mail is sent using a smarthost. All mail is sent to another machine, called a 'smarthost', for delivery. The only delivered mail is the mail for local users. There is no network. your machine send out mail from root@example.org unless root@example.org has told you to. This name will also be used by other programs. It should be the single, fully qualified domain name (FQDN). Thus, if a mail address on the local host is foo@example.org, the correct value for this option would be example.org. js-master_1      | Starting enhanced syslogd: rsyslogd. 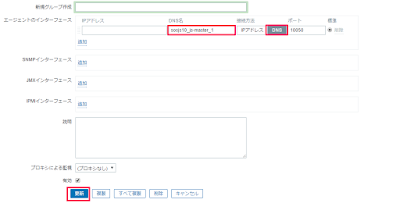 js-master_1      | Starting Postfix Mail Transport Agent: postfix. print "= Thank you for installing HyClops JM!! 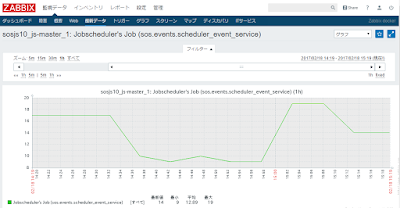 ="
print "= You can monitor JobScheduler's job using Zabbix from now on. ="
print "= Please access the Zabbix web interface and enjoy monitoring. ="
print "= - example: http://your-domain/zabbix                         ="
[root@centos0702 sosjs10]# docker cp ./hyclops_jm-0.1.a sosjs10_js-master_1:/root/. 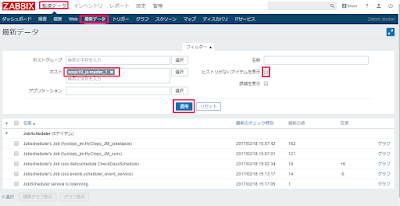 Selecting previously unselected package zabbix-sender. [root@centos0702 sosjs10]# docker-compose exec js-master /bin/bash -c "cd /root/hyclops_jm-0.1.a ; fab -c hyclops_jm.conf install"
[localhost] local: useradd hyclops_jm -p"hyclops_jm"
[localhost] local: useradd jobscheduler -p"jobscheduler"
[localhost] local: mysql --user=root --password=p@ssw0rd --host=sosjs10_db_1 --port=3306 --database=hyclops_jm -e "CREATE TABLE sysinfo (name text,value text);"
[localhost] local: mysql --user=root --password=p@ssw0rd --host=sosjs10_db_1 --port=3306 --database=hyclops_jm -e "CREATE TABLE jobid_tbl (job text,lastid text);"
[localhost] local: mysql --user=root --password=p@ssw0rd --host=sosjs10_db_1 --port=3306 --database=hyclops_jm -e "GRANT ALL PRIVILEGES ON hyclops_jm. 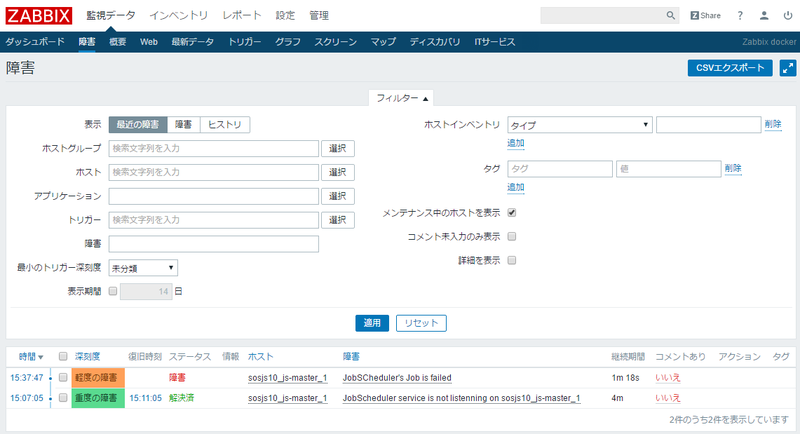 * TO 'jobscheduler'@'%';"
[localhost] local: mysql --user=root --password=p@ssw0rd --host=sosjs10_db_1 --port=3306 --database=hyclops_jm -e "FLUSH PRIVILEGES;"
[localhost] local: mysql --user=root --password=p@ssw0rd --host=sosjs10_db_1 --port=3306 --database=hyclops_jm -e "INSERT INTO sysinfo (name,value) VALUES ('jos_server','sosjs10_js-master_1');"
[localhost] local: mysql --user=root --password=p@ssw0rd --host=sosjs10_db_1 --port=3306 --database=hyclops_jm -e "INSERT INTO sysinfo (name,value) VALUES ('jos_port','4444');"
[localhost] local: mysql --user=root --password=p@ssw0rd --host=sosjs10_db_1 --port=3306 --database=hyclops_jm -e "INSERT INTO sysinfo (name,value) VALUES ('zbx_server','sosjs10_zabbix-server_1');"
[localhost] local: mysql --user=root --password=p@ssw0rd --host=sosjs10_db_1 --port=3306 --database=hyclops_jm -e "INSERT INTO sysinfo (name,value) VALUES ('zbx_web','sosjs10_zabbix-web_1');"
[localhost] local: mysql --user=root --password=p@ssw0rd --host=sosjs10_db_1 --port=3306 --database=hyclops_jm -e "INSERT INTO sysinfo (name,value) VALUES ('zbx_login','Admin');"
[localhost] local: mysql --user=root --password=p@ssw0rd --host=sosjs10_db_1 --port=3306 --database=hyclops_jm -e "INSERT INTO sysinfo (name,value) VALUES ('zbx_pass','zabbix');"
[localhost] local: mysql --user=root --password=p@ssw0rd --host=sosjs10_db_1 --port=3306 --database=hyclops_jm -e "INSERT INTO sysinfo (name,value) VALUES ('jos_timeout','3');"